IVANKO Olympic Bar (OB-86B) 7' 2'' for light commercial use by Ivanko at Strongman Pictures. MPN: OB-86B. Hurry! Limited time offer. Offer valid only while supplies last. A good quality, good value imported bar, our 7' 2'' Olympic Bar (OB-86B) features a 30mm diameter bar for extra strength, and a black-oxide finish. 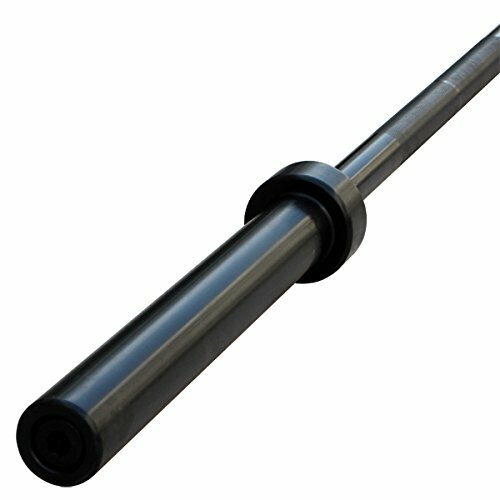 A good quality, good value imported bar, our 7' 2" Olympic Bar (OB-86B) features a 30mm diameter bar for extra strength, and a black-oxide finish. Suitable for light commercial use. A good quality, good value imported Olympic Bar. Sleeve Loading Length: 15.5 in. Length between inside collars: 51.5 in. Durable black oxide finish. Made in China. If you have any questions about this product by Ivanko, contact us by completing and submitting the form below. If you are looking for a specif part number, please include it with your message.